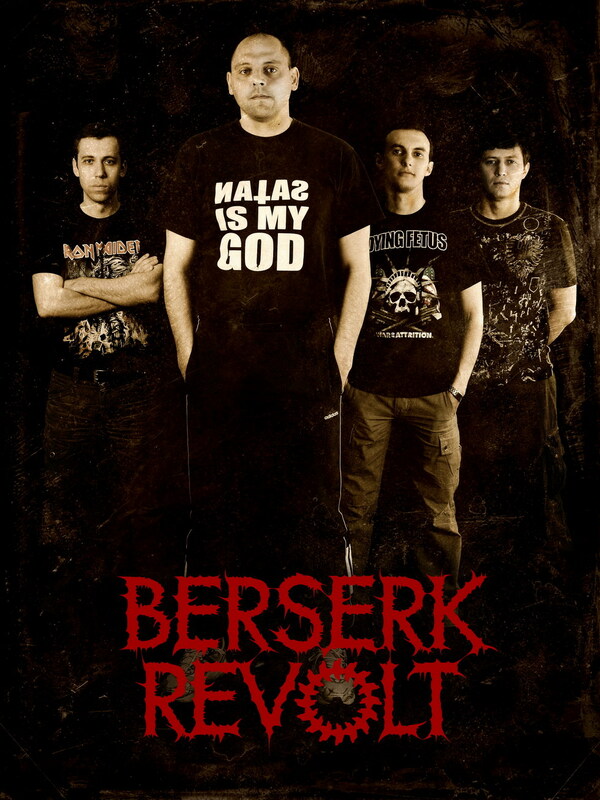 Berserk Revolt was formed on December 1, 2003. The original line-up consisted of: Taras Berserk - guitar/vocal, Alex Machina - guitar/vocal, Nazgul - bass, Den Pulsar - drums. From the very beginning the band has been heading for death metal with pagan ideology. During 2004 � 2005 Berserk Revolt participates in several gigs in Zaporozhye. In 2004 the band makes a home record titled �I Hate The Cross!�. In the autumn of the same year Berserk Revolt makes a studio record titled �Ancient Faith�, which is included in Wolfsong Compilation, Vol. 11. In 2006 the band records �Cult Of Forgotten Gods� demo and participates in several festivals in hometown and outside. In September Nazgul leaves Berserk Revolt and is substituted by Gorevith, who also plays in Crucifix Default and ????? 37-?. Between 2006 - 2007 Berserk Revolt records it�s second demo titled �Cursed Names�, including two songs: �Will Of The Gods� and �Perun's Spear�. The recording of demo is followed by changes in the line-up: in the beginning of 2007 Alex Machina becomes a vocalist, while Gorevith changes over to guitar. The style of the band shifts towards more technical death metal. In 2008 Berserk Revolt begins the recording of its debut full-length album. Several songs from this album were included in �FKP� promo (2008). In 2009 Taras Berserk leaves the band for private reasons. He is substituted by Andrey Fedko (NoEmotions band). One year later Andrey leaves the band due to differing points of view and Taras Berserk resumes his membership in the band as a guitarist.